Questions are strange things. The more you answer, the more you get asked. How does that work? Every once in a while I reach into the mailbags that line the hallways at Blog Headquarters, dip in and sample a few of the most recent vintage. There are tried and true categories (no, the ISBN questions will never die) and questions about very specific scenarios. My hope is that you’ll find something here that will answer a question that’s been nagging you. Wouldn’t that be nice? Q: I’m changing the price on my book for a reprint. Do I need to have a new ISBN number? or can I just remove the price barcode?. A: You don’t need a new ISBN. You can either replace the price encoded in the barcode with the new price, or replace the whole barcode with the “null” barcode (no price encoded). And you can always get adhesive labels to sticker the books with the new barcode. Q: Do I need to copyright my book first, or order the ISBN’s before publishing? My goal is to sell my books on every level, but as far as steps to take what would you do first? A: Please be aware that copyright has nothing to do with ISBN. You will need an ISBN before you publish your book if you plan to sell it through retail channels. 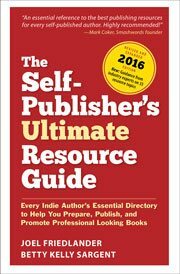 Once the book has been published, you should send in your copyright registration within 90 days of the publication date. Q: My organization wants to purchase 1000 ISBNs. If we purchase a package of 1000, are there rules on which numbers to use for different products? I have the ISBN Guides from Bowker, but I am still very confused about how to assign numbers to different products. A: There are no “rules” about it, but for internal administrative reasons you might choose to segment the list of 1,000 so you could use those in the 100-200 range for print books, 200-300 for ebooks, 300-400 for flash drives, or some similar scheme. But as the publisher, this is completely up to you, you could also just use them in numerical order. Q: If I want to change the price, higher or lower, how is it best to register it in the ISBN so that I won’t need to buy another ISBN. I’ll get an ISBN and barcode for only the paperback. Also, I assume after I pay they will tell me my ISBN and then I’ll have to give more detail when I buy the barcode. Is that right? A: Changing the price will not require you to assign a new ISBN. You can purchase a barcode but many book designers will supply one for free when they create your cover art. If you’re concerned about price changes, get a “null barcode” that doesn’t include the price, it will work just as well. Q: To publish and/or self-publish my book, I’d need to register and secure an ISBN; however, if I begin by blogging my manuscript content on a regular and consistent basis, will I need to begin with registering and securing an ISBN? A: ISBNs only relate to published books, they are a method of assigning a unique identifier to each separate format or edition of a published work, so they are irrelevant to blogs or blog content. Q: I published through CreateSpace a few months ago. I want to resize my book so that I can use expanded distribution. I didn’t realise at the time of publishing that my book needs to be 5″ × 8″. I’ve just sat down to amend it and it seems that I can’t change the trim size because I have got an ISBN. Is it set in stone then, that once you are assigned an ISBN, the size of your book can never be changed? A: You are free to change the size of your book any time you want. When you issue the book in a new size, it will be a new “edition” and every edition needs its own ISBN. So just assign a new ISBN to the new size. You might want to “unpublish” the earlier one to avoid confusion in the market, and make sure you note somewhere on your sales page that it’s the same book as before, in a new size, so you minimize the chance of someone buying the same book twice. Q: We are publishing an adult coloring book and just printing 100 copies to start. I understand the ISBN but the bar code for price is confusing. I purchased a book at Costco for $12.50 but the bar code was 51999. So if you give stores your book with a price how does it work that they sell it for less? Doesn’t the bar code price have to match the sale price. I am lost. A: Barcodes come in two styles, either with the price (like the one you saw at Costco. By the way, the “5” means that the price following is in U.S. dollars) or without, which is usually referred to as a “null” barcode. No matter which one you use, the retailer is only going to use the ISBN part of the barcode to retrieve their own database entry for that item, which will include the retailer’s price. In the U.S. you can’t dictate the retail price, only “suggest” one, so all book prices—whether included in the bar code or printed on the book—are essentially “MSRP” or manufacturer’s suggested retail price, and retailers are free to charge whatever they like. recto (right-hand page)” convention? I looked at 40 books yesterday and none of them followed that rule. Is this a new trend thanks to digital technology? A: It’s common for chapters in fiction books to open on the next available page, and for nonfiction books to stay with the recto chapter opening, but these are conventions, not rules. Q: I have a quick question. Some books contain a list of endorsements in the body of the book, but these days, it seems more books only include them on the front cover and on the back cover. If you were to include a list of book endorsements inside the body, where would you put them? Is it inappropriate to include lists of endorsements inside, is that out of the current style, or otherwise? Q: If the trim size for the book is 6 x 9, then what should I set the actual page size to be with the minimal border for text? A: The page size is the same as the trim size. The text area is smaller because it includes the margins. Try 3/4″ for your margins, so your text area would be around 1.5″ smaller in both dimensions than your page size. And when you set up your document, no matter what software you use, use the page size as the document size. Q: I’m wary of giving away too much of my novel. It’s so easy to steal ideas these days and everyone seems to be thinking along the same lines. I know this sounds paranoid. I have this great idea of starting my author website and introducing the characters of my novel, giving their backgrounds, a bit of their personal story so that potential readers can see how they connect with me, the author and in so doing whet their appetites for the final product. Great idea but I’m afraid to do it. Should I be this worried? A: I think your plan is a good one: write about your characters, their background, even the places where the story is set, they are all great topics for a blog before the book comes out. And since you won’t be revealing any plot, I don’t think there’s any reason to be suspicious or paranoid about “stealing.” If Shakespeare blogged about Romeo, Juliet, Venice, family feuds, the art of swordplay, banquets in 15th century Italy, etc. no one would ever suspect what the play was actually about, would they? Q: I am getting ready to publish my self-help book for healthcare professionals. I’m aware that review copies should be sent out to certain publications in advance but I don’t have that list. Can you let me know where I can find it? If it’s available in one of your books, I will buy the book. A: The “list” doesn’t exist because each book has a set of potential reviewers depending on the subject matter in the book, and that varies from book to book. However, if you’re referring to pre-publication reviewers, basically, it’s the New York Times, Library Journal, Publishers Weekly, School Library Journal (when appropriate), Los Angeles Times and Kirkus Reviews, as I recall. Q: After setting up my book launch page, I set it as the static home page through my WordPress dashboard. I just got a notice from Google via Webmaster Tools stating that my webpage is suspect because the home page is redirecting to a different page and may “mislead visitors to your website.” Is there a way to make this NOT look like a misleading page? A: I would definitely not redirect your home page elsewhere. Just set up a menu with the book launch page linked to a menu selection and you should be fine. Use the home page to welcome visitors, introduce yourself, say what the site is for, and so on. Q: Hi Joel, I just read How to Create, Register and List Your New Publishing Company and I have a question. I have a U.S. “S” Corporation. I want to create my own publishing company as a division of the S-Corp which will bill for my services. What steps would I take to get a name for the publishing company and tie it to the S-Corp? Or could I just use the same name? A: You can certainly use the same name or simply establish the publishing operation as a subsidiary or “imprint” of your S-Corp, there’s nothing specific that you have to do except file a fictitious business name statement (“DBA”) if the name is different than the S-Corp’s name. A: You can have any type of business organization you like, they each have advantages and disadvantages. There’s no need to incorporate, and if you already have an independent business and file a Schedule C (in the U.S.) you probably don’t need a new business at all, you can do your publishing (as long as it’s related in some way) under your current business structure. Q: I was told by my editor to just send a copy of my manuscript to myself registered mail and don’t open it. 22 months seems like forever when you are ready to release your book. Won’t this method work to get started? A: Sorry, but mailing yourself a registered copy will do nothing for you, it’s a waste of time. 22 months is how long it takes for the copyright office to process registrations, you’ll do that after you publish the book. You own the copyright to your work when you create it, the Copyright Office is just registering it. You don’t have to wait for your registration certificate before you publish, just print the © symbol and appropriate language in your book, then after publication fill out the forms and send them in. Q: I’m working on republishing a series of 4 books which are out of print. Do I need consent from anyone other than the copyright holder? I’m recreating them from hard copies so will I have joint copyright of the new edition? A: You will need to get permission in the form of a license for your own publication. You’ll then own the rights specified in the license, but you won’t “own” any of the copyright since you were not the creator of the works. I am curious about this statement from one of the questions in the article: I didn’t realise at the time of publishing that my book needs to be 5″ × 8″. Secondly, I am curious about what you think about purchasing large numbers of ISBN (1,000 or 10,000 vs. 10 or 100). The book series that I am currently working on has 34 books planned which I intend to put in both email and print form. I also planned to do combined books that have two or three of the books in one at a discount (at least as ebooks, not sure on print since these are long books around 100,000 words each). And that’s just one series. There are two connected series with a minimum of twenty additional books planned and there are a lot of other series I plan to write. Over all, the intention is a great deal more than 100 titles and I like the idea of having all of my books collected in the same block of ISBNs. Other than a lower price point (but not lower per ISBN) are there any advantages to purchasing a smaller number of ISBNs? Your book does not need to be 5″ x 8″ it can be whatever size you like, although standard sizes have a lot of advantages. And buying 1,000 ISBNs sounds like the right solution for you. 100 ISBNs today cost $575 or $5.75 each. Although they no longer show prices for bulk ISBN purchases, in the past the cost of ISBNs goes down radically as you buy more, and the last time I checked 5,000 cost about $1 each. Since you know you’re going to need them, buy 1,000 now. 1] If a book is reprinted periodically, say 6 monthly or annual basis, then should every reprint mention the month-year of reprint and nth reprint? 2] If e-book and paperback have 2 different ISBNs, then how will the book reviews for both get clubbed? Or will they remain isolated? 1) This is commonly done by traditional publishers using a kind of shorthand on the copyright page. See the link for more info. 2) If you’re referring to Amazon, simply contact them through your Author Central account and they will combine the two editions on one page, merging the reviews. Question–if you fail to register copyright in that first 90 days post-release, can you still register at some point? Thanks for this helpful post! Timely. “If you have not done timely registration relative to a copyright infringement, you are limited to your actual losses and any profits of the infringer due to the copyright infringement. This can be an issue because proving their profits can be difficult and you have to also show your actual losses. Considering attorneys can be easily in the $200 a hour range to go after the infringer, having this come out as a positive dollar proposition is problematic. “If you have done timely registration, there are major benefits in persuing a copyright infringement. Thanks for this. I learned something important here. Fact is, if I would have decided to reduce the size of the book, I would have had to spend around $2,000 to $3,000 in laying out the cover and inside of the book to the new size. But the biggest problem would have been with having to use a new ISBN for a new size. In 2009, I was forced to use a new ISBN for this self-published book when Random House purchased Ten Speed Press and canceled the distribution Agreement I had with Ten Speed Press (I was using the Ten Speed Press imprint and one of their ISBNs). This created a problem on Amazon where people would wind up on the old webpage for “How to Retire Happy, Wild, and Free” saying that it was out of print. There was nothing on the old webpage with the old ISBN indicating that their was a “new edition” with a new ISBN on a new Amazon webpage. In the first month of transition, my new distributor National Book Network sent out only 87 copies of the book and initially thought that they had undertaken a dud. I worked for a month on this problem before I could get Amazon’s attention and get Amazon to place a note on the old webpage that there was a new edition of the book on another Amazon webpage. It all turned out okay given that National Book Network has now sent out over 131,000 copies of the book since they took over distribution. Even so, my advice is to not change the ISBN of your book if you can avoid it. I have seen two or more cases of people who have brought out new editions of their books with new ISBNs with the result that the new edition sold way fewer copies than the old edition was selling. Thanks Ernie. I would agree with you, especially for a book like yours that’s selling well. Avoiding ISBN confusion is one of the main reasons we advise people right from the start to get their own ISBNs so this doesn’t happen to them. Obviously you made the right choice, and I doubt there will be any significant price resistance at your new price.